People want to protect their assets, properties included. That said, home owners are looking into ways to upgrade the security of their premises to ensure no intruders can enter, much more, burglarise their homes. Among the myriad of security products in the market today, the Schlage Camelot Touchscreen Deadbolt is something to contend with. And since smart owners know they have to make the right choices when it comes to keeping their houses secure, here’s a review of this product. Retailing at $199, this touchscreen deadbolt boasts of several features. Comes with four finishes to choose from that can complement any front door color. The touch screen feature provides a keyless entry by simply punching in codes and locks automatically once inside. With a Nexia Bridge control unit for additional dollars, it can be connected to gadgets such as smartphones and tablets to control it remotely. Has a built-in alarm that goes off in case an unauthorized person tries to break in. Added security with a touchscreen designed with a bumpy matte finish to prevent fingerprints to stick on the screen. Motion-sensing alarm can be configured with any of the three settings according to the home owner’s preference. Comes with two four-digit codes and a six-digit programming code that allows for a change of access codes as well as settings. Comes with a traditional knob and battery pack. Green check mark icon flashes each time code is entered. Easy to install and the lock itself can easily fit doors regardless of thickness and width. Has a lifetime warranty on both finish and mechanics while electrical components are guaranteed for a year. Low maintenance with just four (4) AA batteries needed to run. If you are willing to pay the retail price, this product offers convenience and security for the home. With a matte finish, your fingerprints will not leave a mark, making it hard for would-be intruders to find out what the codes are. Moreover, the flashing green icon at each key press reassures correct code input. 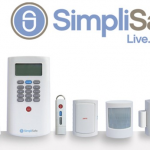 Its changeable settings allow the home owner to set the level of security preferred. And if you are going to be gone for a longer period of time, you can set it to “Vacation” mode that disables entry through access codes and would require you to use a key. 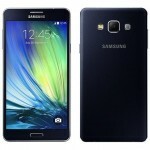 With the knob and the built-in battery pack, it is a tad bulky than other products of the same type. Also, should you choose to add the Nexia Bridge control unit and automate your lights and thermostats, there is a monthly-fee of $9.99 for Nexia Home Intelligence’s home automation system and extra cost for the control unit. This means having to spend a little more for added features such as full home automation. And if you lose your key and previously set it to “Vacation” mode, you will not be able to enter your home at all. 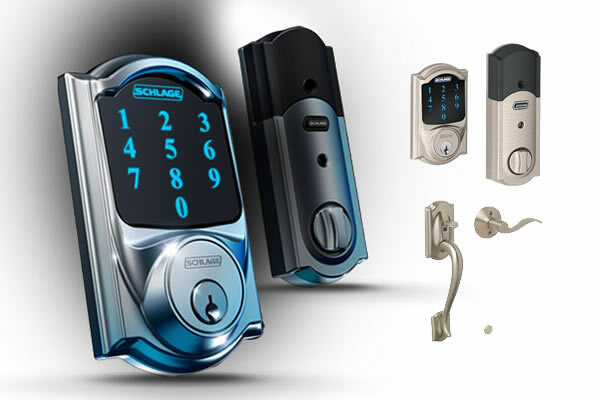 As a whole, the Schlage Camelot Touchscreen deadbolt is a secure and powerful product that is of high quality and design. 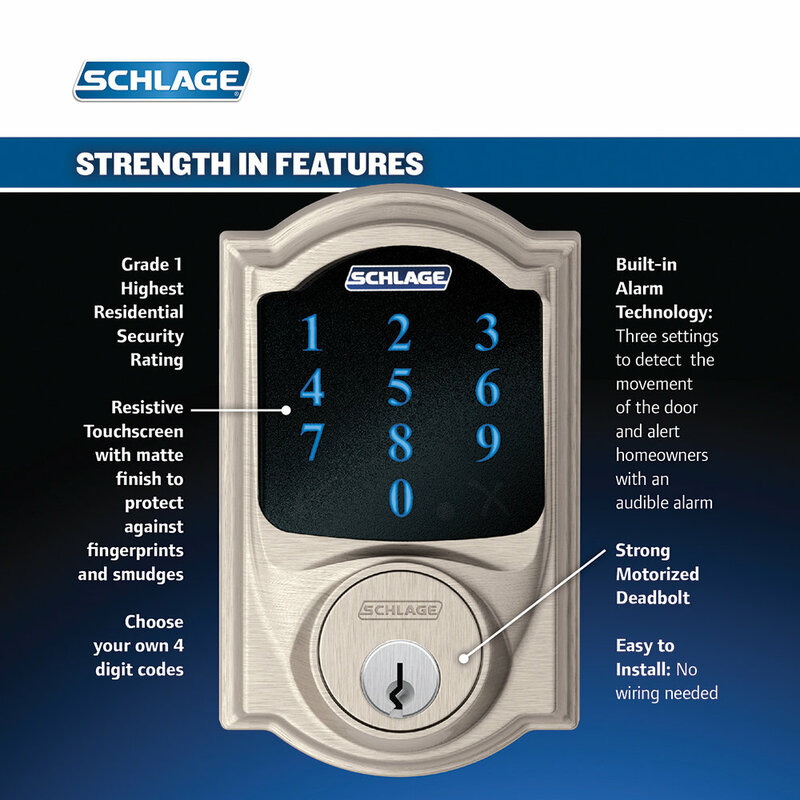 There might be other products with sleek designs and are not as bulky but you have to invest more money on these items having similar use and function with this product from Schlage. And although its price is not at all that cheap, it is worth spending extra money to ensure security of your property. In a nutshell, buying this product is a wise decision for smart homeowners looking to enhance home security.